Want to enjoy your your very own keg without all the extra bits and bobs and added expenses? We have you covered. The price of your keg includes everything you need to pour your beer. All you need to get is a couple of bags of ice! 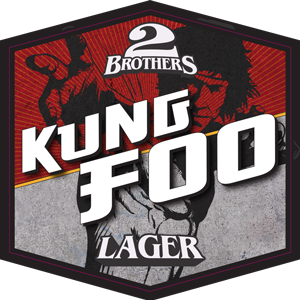 $199.00 – $295.00 inc. GST Strength: 4.5% ABV Bitterness: 18 IBUs Availability: Draught only Aroma: Neutral - lightly hopped Colour: Pale gold Flavour: Crisp and sessionable, think your easy drinking Aussie lager. 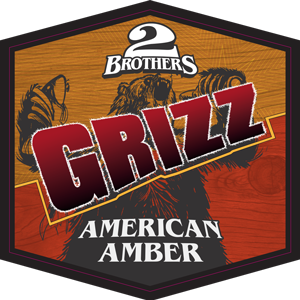 $199.00 – $295.00 inc. GST Strength: 4.7% ABV Bitterness: 25 IBUs Availability: Draught and 330ml bottles year round Aroma: Light, malty, grassy Colour: Pale gold Flavour: Light to medium body, soft malt character and balanced bitterness. $199.00 – $295.00 inc. GST Strength: 5% ABV Availability: Draught and 330ml bottles year round Aroma: Clean aroma of cut apples with subtle undertones of honey and orange blossom. 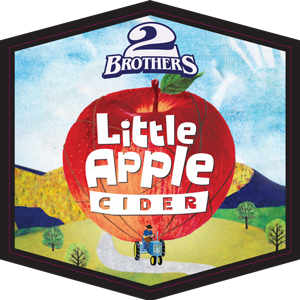 Colour: Light straw and sparkling Flavour: Light and refreshing and made with predominately Braeburn Apples, Little Apple is semi-sweet and sure to be a crowd pleaser. + How do I get the beer or cider out of the keg? Every keg comes with its own hand pump free of charge that connects easily to the top of the keg and allows you to start pouring your very own beer! + How many beers do I get out of a keg? Our 50 Liter kegs will give you about 175 pots (285ml) or 118 schooners (425ml). Our 30 Liter kegs will give you about 105 pots (285ml) or 71 schooners (425ml). + How do I keep my beer cold? Your keg will be delivered cold to your door with a bucket (free of charge). All you need to do is place your keg in your serving bucket, pour some ice around the edge and over the top of the keg and your beer will be icy cold for the duration of serving! ** We recommend getting your keg close to the time of your event/gathering to ensure your keg is as cold as possible for dispensing. + Can I keep the keg? Unfortunately, no, we need it back to fill it up again! The purchase price is for the liquid contents inside the keg. + How long can I have the keg? 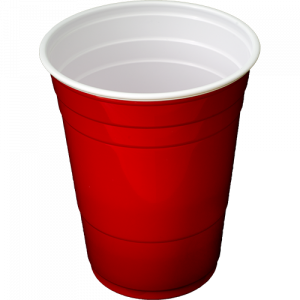 Ideally, we would like to pick up or have the keg returned within a week however extensions can be arranged. Unreturned equipment may incur a penalty. + How long will my keg last? 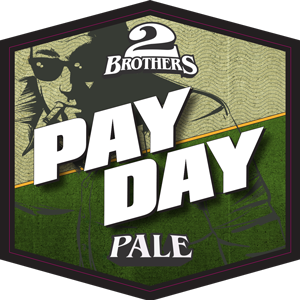 Once you engage your pump you will be introducing air into the keg, therefore we recommend consuming the keg in a 1-2 day window. + How many kegs do I need? There are some factors to consider here but we’re more than happy to help you work this out. 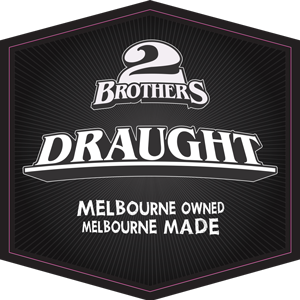 Feel free to shoot us an email at beer@2brothers.com.au for assistance. If you don’t manage to get through the contents of the entire keg, that is no problem at all. Just return your keg within the time-frame as usual. + How much is delivery? Delivery is calculated based on your location. 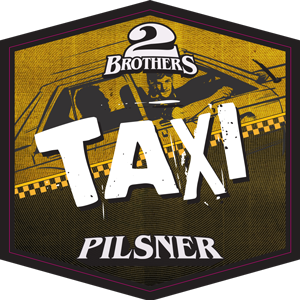 The good news is it’s just one flat fee per order so feel free to order more kegs and only pay the one delivery fee! + When can my keg be delivered? Our trucks leave the warehouse every day of the week, Monday-Friday, so where you live will determine what days we can deliver. This is noted by the highlighted days in the calander at the checkout. + What time will it be delivered? We'll call or text you after your order is placed to organise a 2-3 hour delivery window. Our drivers will also phone ahead half an hour before they arrive to let you know they're coming. We're also happy to accommodate specific timing requests where ever possible, just let us know when we contact you! + Do we pick up the empty keg? If you selected the delivery and pickup service in the checkout one of our team will be back in touch a week after having your keg to arrange pick-up. + Can I pick up my full keg? You’re more than welcome to come to the brewery and pick your keg up. You just need to select the pick-up/drop-off option in the checkout. Pick-up is available 6 days a week (no Sundays) from the following day after your order has been placed. Our team will make sure you have all the gear and will be more than happy to show you how to use the equipment or answer any questions you have. Our address is 4 Joyner St, Moorabbin, Vic, 3189. **If you select this option, you’re required to return the keg to the brewery within seven days.